While these examples were shocking when they happened, disruption is nothing new today. No matter how strong a company’s hold may seem to be, there is always the possibility that an upstart is on the way with new technology that will forever change the market. Consider some of the biggest brands out there: Google, Apple, Amazon, Tesla. These brands have a reputation for possessing some of the most incredible technology available. Surely they can’t be disrupted, right? Surely some startup won’t manage to knock one of them off the throne. If you think that’s true, read up on the effect Compaq had on IBM. The point is, no business has the ability to see the future—at least not with a palm reading or a crystal ball. But, if you’re paying attention to the patents they’re filing, you might just get a sense of what their future holds. Let’s consider Tesla, one of the biggest names in electric vehicles. The innovative giant has patented some of the most important technology for electric vehicles, including the charge state indicator for an electric vehicle, the methodology for charging batteries safely, and trip planning with energy constraint. While electric cars still make up a small portion of overall auto sales throughout the United States, the switch to alternative energy sources is definitely growing. Any traditional automaker might have seen this shift coming with the first patents filed by Tesla. Those that do manufacture electric cars probably have some idea where the electric car industry is headed—at least, they could be if they’re watching the patents this giant is filing. Their latest patent, charging station providing thermal conditioning of electric vehicle during charging session, points to the next step in electric vehicle technology. A high charge rate is like the Holy Grail for electric car builders, since waiting for the battery to charge takes a lot longer than stopping for a tank of gas. Tesla’s new patent aims to solve this big barrier to widespread use of electric vehicles. With one of the biggest pain points solved—the ability to quickly and efficiently get back on the road—objections will begin to fall away. Electric vehicles could finally be poised to take on traditional cars. The application was first filed in 2014 and finally published in April of 2017. That’s three years during which other carmakers had the ability to see into the future before it actually arrived. How many car manufacturers were watching Tesla during the last three years, do you think? How many are more likely to begin watching once Tesla’s electric cars start to take over some of their market share? The wrong time to start worrying about potential disruption is once that disruption has already begun. If you wait that long, you’ll only have two choices: to disrupt your own business or slowly sink into oblivion. With the ability to see what other companies are doing, which technologies are being developed or enhanced, you can begin to plan for your own future. A future where you’re the disruptor instead of the disrupted. A future where you still hold the majority of market share. IPVision makes this look into the future possible with our custom industry studies. Reach out now, not when you feel like you’re starting to lose ground. 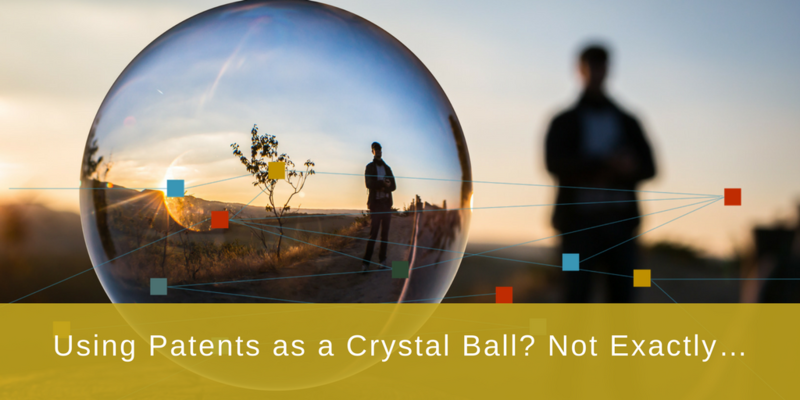 We’ll show you how to use patent intelligence as your own crystal ball, so give us a call. This blog was originally published in April, 2017. It has been updated with the latest information.